This simple tool is aimed to search for vendor name by its MAC address and vice versa. 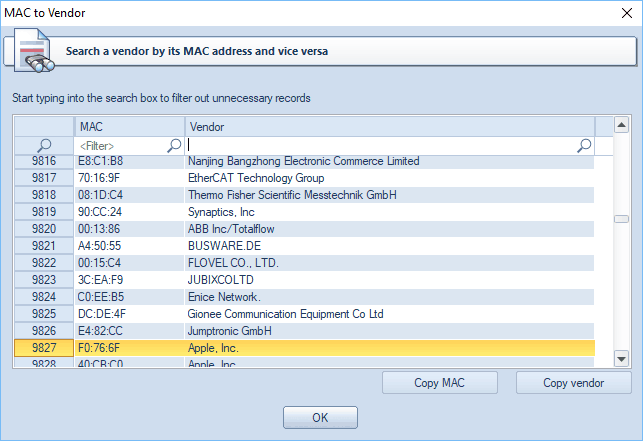 To find a vendor, start typing its MAC address into the appropriate (<Filter>) search box. The same way, you can view all MAC addressed that belong to a certain vendor.